In this digital era, everything revolves around the world INTERNET. You can't deny the fact that things have become easily accessible since the time the internet has come into our lives. When you can gain knowledge and grab the insight of every bit of information with just a few taps, what else is all needed? Since the time internet has become the most feasible digital marketing tool, the ease of endorsing your brand to the right people and at the right time has become hassle-free. Internet marketing is playing a significant role in sky-rocketing the ROI and thereby considered a lucrative option to ponder. While appealing content and explainable pictures allure people a lot, videos come with many added perks. This is the primary reason why YouTube has brought a sensation to the entire world. 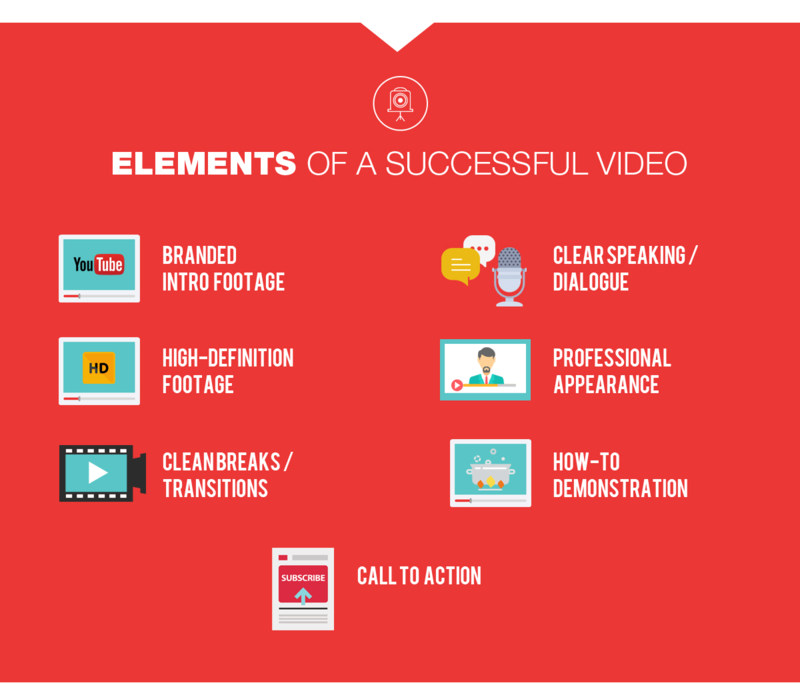 A well-crafted video has the power to keep people engaged for longer duration. If it is informative and entertaining, people get glued to the screen. The process of promoting business, brand, products, and services by utilizing the internet tools is called Internet Marketing. A wide range of marketing tactics and strategies are involved in internet marketing which helps to drive traffic, leads and ultimately the sales. The primary marketing campaigns include content, email, search, paid media, and more which drive customer action. Different social media websites and YouTube is playing a significant role in the context. Videos allow saying more in less time. When content fails to impress, videos prevail. 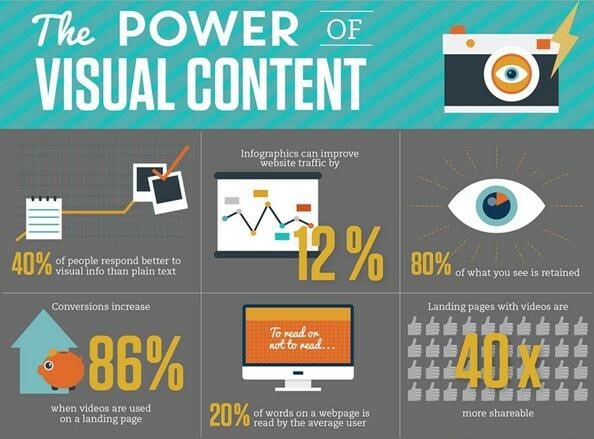 While with content you need to condense your information into limited words, there is no such restriction with a video. Even if a video is large but authentic, it could retain viewers until the end. However, small videos have their own charm. YouTube provides you with an excellent platform to showcase your business and enhance its credibility. Being the world’s second largest search engine, it won’t be an exaggeration to say that YouTube is a fertile ground to endorse any business. 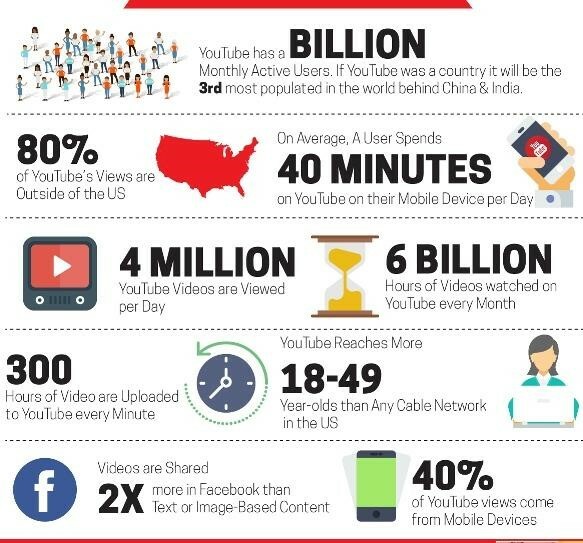 As per the YouTube stats (https://merchdope.com/youtube-statistics/), it has more than 1 billion users which makes one-third of the total number of internet users today. Being the third most visited site on the internet after Google and Facebook, its influencing power gets elevated manifolds. Other than this, the viewing stats and number of hours people spend on watching videos are increasing at a high rate. All this makes it one potential platform to exploit creatively for online marketing. Email marketing is sending commercial messages to a group of people and endorsing the brand. With massive traffic and viewers, YouTube becomes highly effective in leveraging email marketing. In the digital world, it is one of the most effectual ways of increasing the conversions rates. A perfect video talking about your business, products or services can drive people towards it. 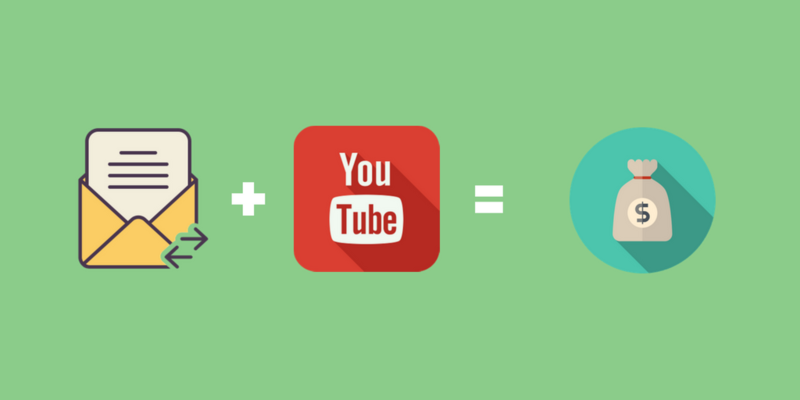 When marketing has gone way beyond putting words on a page, YouTube plays an active role. This is when the need of having a great video that occupies people until the end is essential. Therefore, knowing your target audience, getting equipped with every bit of information you want to share and scripting your video is necessary. Apart from this, the quality of videos also influences the viewers significantly. Videos with high-resolution pictures and excellent sound quality impress people, and later the script and content play their role. So, always try to post a great video to your YouTube channel for grabbing maximum eyes. People love to watch videos because they are more expressive. But at the same time getting the email ID of the viewer is tricky. Here, the need for implementing certain strategies and tactics to overcome the problem becomes essential. Bestowing alluring deals and offers are some of the ways which could make them feel rapaciousness for the deal. Having a loyal YouTube audience is an asset. It is wonderful to have people who enjoy your work, love your videos and look forward to every new post. To retain the fan base and keep the loyalty intact, there is the need to work on specific aspects. Provide a consistent work - Here consistency implies to providing great, pleasing and engaging videos and adding new posts after regular intervals. Don’t forget that if you are not consistent in your work, your audience still has a plethora of YouTube channels to subscribe. If it is not you, it could be someone else. Therefore developing a content schedule is the best way to inform your audience about your updates. Maintain your personality - Not just your videos need to be great but your voice and on-camera presentation as well. Thereby developing influential on-camera personality plays a significant role in swaying people to a great extent. Share and communicate - Share your new video on different social networking channels. It will help to popularize it and telling your fans about your new upload. Therefore remaining active on various social media websites is also essential. Getting freebies in the exchange of their email ID makes a great impact on the viewer. 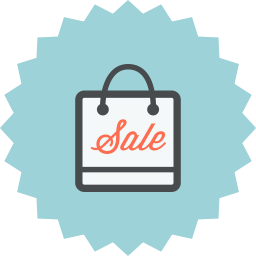 Providing free ebooks, coupon codes, free shipping code are some of the ways which could help in the context. Every deal coming with a remunerative offer allures people and this fact can be utilized in getting more subscribers. An offer which is relevant to your niche and adds to the value of business helps in fetching more subscribers and ultimately the email list increases. When the main motto is to convert your YouTube viewers into email list, easing the entire process for the audience is essential. There are many tools on YouTube utilizing which one can easily attract the eyeballs of viewers and compel them to sign-up for the email list. You may make the best use of cards which are visible in both desktop and mobiles. You may easily customize website URL, headline and call to action with a creatively drafted card. Apart from this, annotations can also elevate the interactivity of the videos. Similarly, description text also plays a vital role in deciding whether to opt to sign-up or not. Once you have managed to gain the email address, your actual work starts. From now onwards, you need to be very careful about the information you are sharing so that they don’t unsubscribe. Sometimes customizing a message and inculcating additional details along with alluring deals also excite subscribers and keep them occupied. 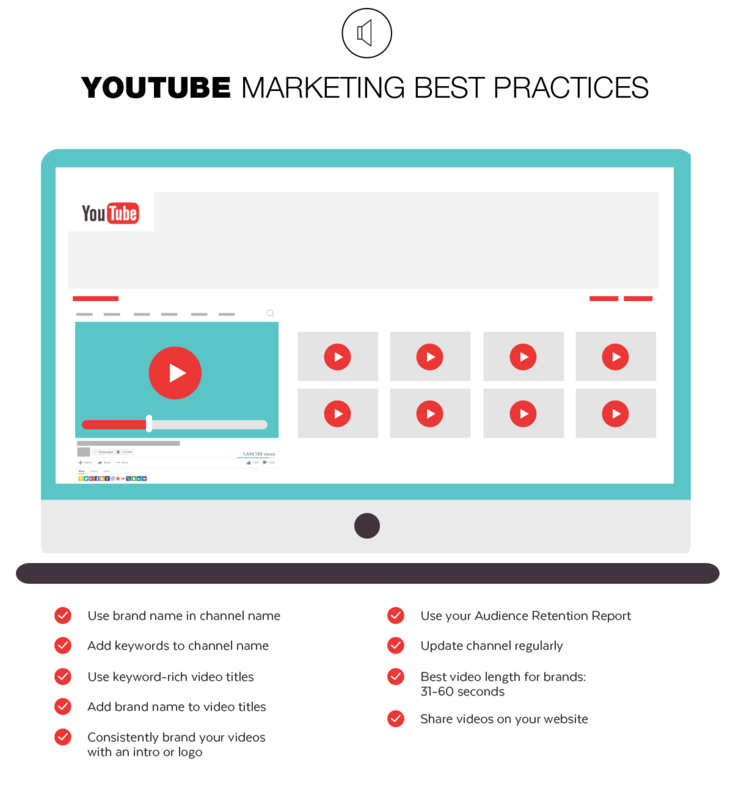 So now that you get the know-how of leveraging email marketing with YouTube, it’s time to improve your conversion and get better ROI. I am assuming that you already have a YouTube channel with a decent number of videos and subscribers. If you don't have any YouTube channel, then you can always create one for free by going to this link. There are hundreds of email marketing platforms and tools available in the market, but I like to get along with SendPulse due to its all-in-one marketing platform. SendPulse not only allows you to create email campaigns but it also offers other advanced features such as email automation, web push notifications, SMS service, bulk SMTP service, etc. Joining SendPulse is 100% free and even as a free user you will get access to 99% of its features. Additionally, you will get free 15,000 email credits every single month, no strings attached. Once you have registered to SendPulse, follow the steps listed below to get started with your email marketing campaign. 2. 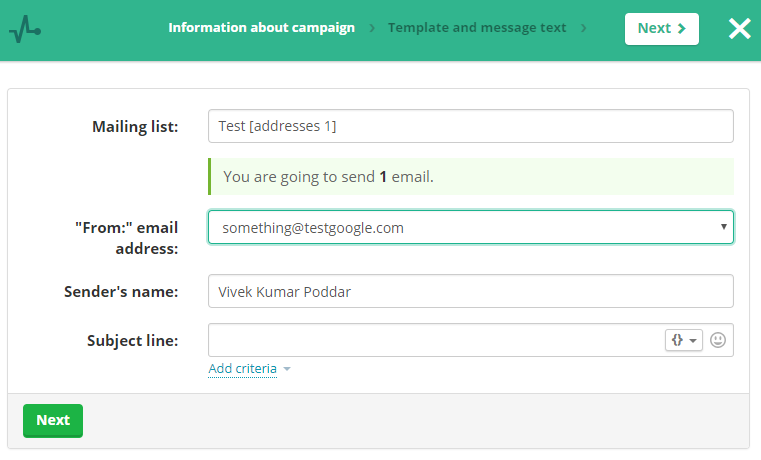 Click on the “Create a campaign” button and then fill in the details you are asked to provide. 1. Login to SendPulse account. 2. 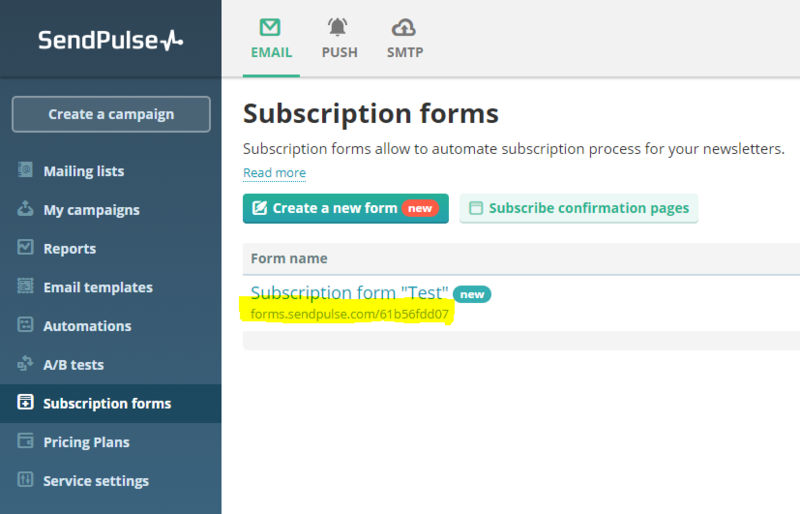 Look for “Subscription forms" in the left-hand side navigation menu, click it and then click on "Create Subscription Form" button. 3. Click on “Embedded” form style. 4. Create a new mailing list or assign a previously created list and then click on “Go to builder” button. 5. 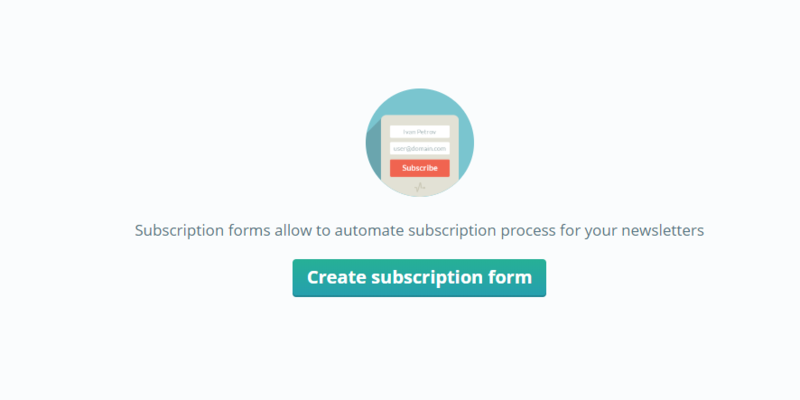 Edit the subscription form as per your requirement with the help of form builder. 6. Once your customization is done, click on the “Save and get code” button. You don’t need to copy any of the code. 7. Click on the “X” button on the top-right corner. 8. Copy and paste the link located under the “Form name” safely in notepad for later use. (See the image attached below for better understanding). Once you have generated the newsletter subscription form and you have copied the link, all you need to do now is to place this link in your video description. YouTube allows you to edit your video description and even allows you to place the links, so why not use it to your advantage? 1. Go to your YouTube channel, then navigate to the "Creator Studio" and then navigate to "Video Manager" (or you can just click me). 2. Click on the “Edit” button under any of your Video. 3. Paste the URL you copied from SendPulse at the top. Note: You obviously cannot edit your existing video, so now everytime you upload a new video to your channel, add an audio clip requesting your viewers to subscribe to your newsletter and in return, you can offer them anything (like a free template, goodies, coupons, etc.). If you want to kickstart your email marketing campaign, then there is absolutely no other "better" free marketing channel then YouTube. Create long, engaging videos and try to offer valuable information, coupons and freebies to your audience and never forget to ask your viewers to subscribe to your email list. Well researched article and very well explanation on increasing our conversion combining both the youtube as well as the email is given. You’re absolutely right, “Engagement and interaction” builds trust which ultimately will lead to a positive conversion. Have bookmarked it for future reference. Thanks for sharing. Good one Alok. Only problem for me is I have no talent in front of the camera lol. Either way, I am surprise there’s not many YouTubers who include an email subscribe link in their video description. They should read this post! Good Post Alok. The steps are short and clear. 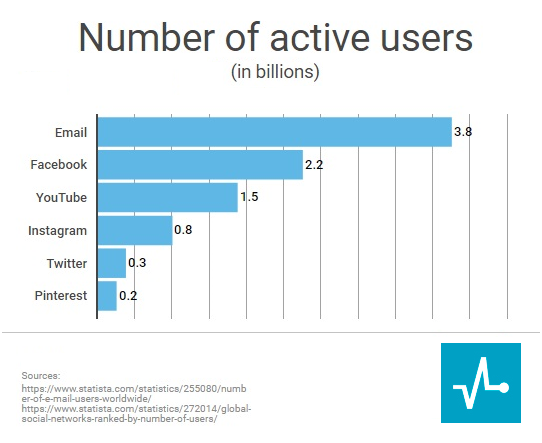 Email Marketing via youtube is really an unexplored potential. Even popular youtube channels do not utilize this. Keep writing such informative posts.